McDonalds had this special love for all the Joy's, hehe and it included me, as they gave away free One-piece Chicken McDo meal last April 22. 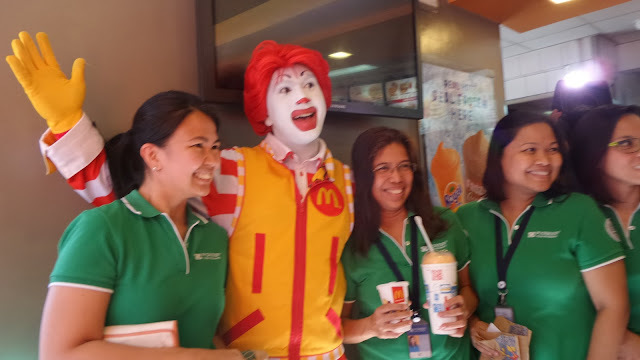 I guess it all boiled down to how Chicken MdDo equates with the word J-O-Y, because every featured McDonalds branches were filled with joy as ladies and girls who's name is Joy (or similar even spelled differently) trooped them and filled the air with such excitement and of course, joy. 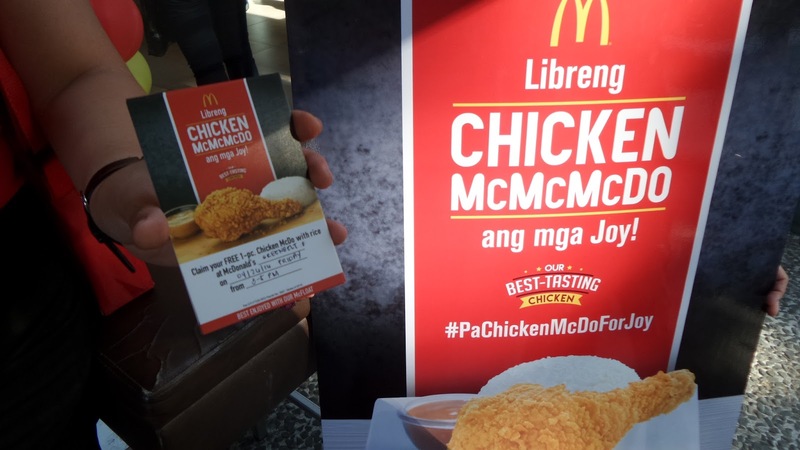 When the clock struck 3 o'clock, in time for the #PaChickenMcDoForJoy, the Joy's lined up and displayed their ID's in exchange for a voucher with free Chicken McMcMcDo. What was even better was that each companion of Joy's also get to be treated the same. Though it happened for only 2 hours, McDonald's created a buzz that had everyone cringing with envy and hoping their name was also Joy. There is so much to love about Mc Donalds as they always share love by sampling their latest products. So, if you missed #NationalBreakfastDay and #PaChickenMcDfor Joy, fret not as McDonald's still had lined up a lot more promotions that will truly make dining at them fun and exciting for the whole family or "barkada."